Brazilian officials are now claiming that American Olympian Ryan Lochte's story of an alleged robbery was one lie after another, a falsification that implicates both Lochte and three other U.S. swimmers. Lochte claimed that he and his teammates had been robbed at gunpoint by assailants posing as Brazilian police, and, well, the story only kept changing from there. Lochte's response to the alleged robbery should have made you question the whole incident all along. That one statement was a resounding "whatever" when describing the moment he was held up at gunpoint. Update: Brazilian police officially declared that the four U.S. swimmers were not victims of robbery, BuzzFeed News reported. Instead, the Brazilian officials said that the swimmers "vandalized the restroom" of a gas station and they tried to leave the scene before police officers could arrive to help. Earlier: In one of his initial accounts of the incident, Lochte told NBC in an interview, "The guy pulled out his gun, he cocked it, put it to my forehead and he said, 'Get down,' and I put my hands up, I was like 'Whatever.'" Had Lochte been robbed like he claims, this would be an incredibly unusual statement at best, and a red flag pointing to a falsehood at worst. The story changed from there on out, with Lochte later claiming that the gun had only been pointed in his general vicinity. 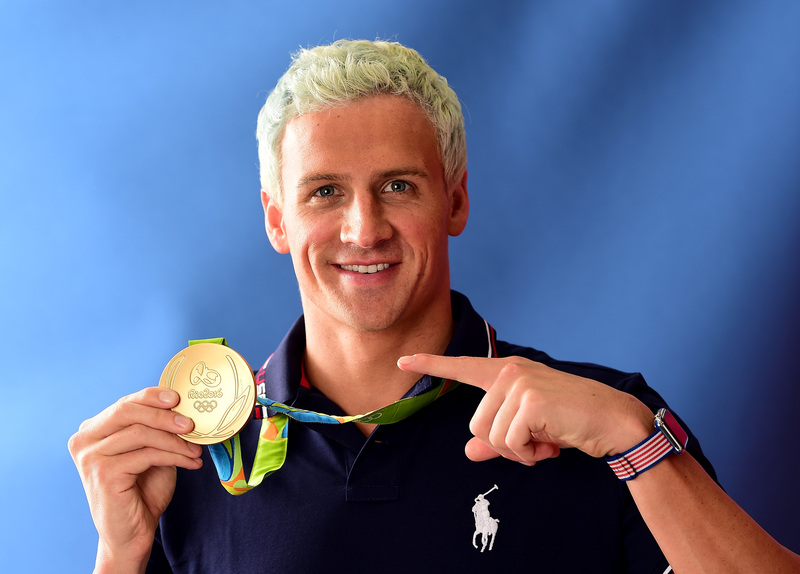 The first account also alleged that the group of swimmers had been pulled over by men posing as police officers, but later Lochte claimed that the incident had occurred while they had stopped at a gas station. You know, whatever. According to Brazilian officials, at least one part of that statement is true: the fact that an incident did indeed occur at a gas station. However, they claim that it wasn't a robbery, but rather an act of vandalism carried out by the U.S. swimmers. After reviewing tapes and stories from eyewitnesses, Brazilian police have gathered that the four swimmers arrived at a Shell gas station after a night of partying, and drunkenly damaged the facility's bathroom door. According to officials, someone called the police on the swimmers, but the four men left the gas station before they could arrive. Another eyewitness claimed that they saw the swimmers hand money over to the manager before exiting. Thus far, the International Olympics Committee seems to be pretty lax about the whole thing. They released a statement on Aug. 18, saying: "No apologies from [Lochte] or other athletes are needed. We have to understand that these kids came here to have fun. Let's give these kids a break. Sometimes you make decisions that you later regret. They had fun, they made a mistake, life goes on." Kids will be kids, right? Whatever.